Amazon Route 53 is designed to give developers and businesses an extremely reliable and cost effective way to route end users to Internet applications by translating human readable names like www.example.com into the numeric IP addresses like 192.0.2.1 that computers use to connect to each other. Route 53 effectively connects user requests to infrastructure running in Amazon Web Services (AWS) – such as an Amazon Elastic Compute Cloud (Amazon EC2) instance, an Amazon Elastic Load Balancer, or an Amazon Simple Storage Service (Amazon S3) bucket – and can also be used to route users to infrastructure outside of AWS. 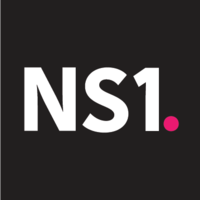 NS1’s intelligent DNS & traffic management platform, with its data driven architecture and unique Filter Chain routing engine, is purpose-built for the most demanding, mission-critical applications on the Internet. Why do developers choose Amazon Route 53? Why do you like Amazon Route 53? Why do developers choose NS1? Why do you like NS1? What are the cons of using Amazon Route 53? Downsides of Amazon Route 53? What are the cons of using NS1? How much does Amazon Route 53 cost? How much does NS1 cost? What companies use Amazon Route 53? What tools integrate with Amazon Route 53? What tools integrate with NS1? What are some alternatives to Amazon Route 53 and NS1? DNS Made Easy - DNS performance, reliability, and security have never been easier. Since most of zerotoherojs.com infrastructure is on AWS, Route53 is the obvious DNS of choice. I’m also considering CloudFlare, but haven’t decided the pros and cons of migrating yet. PrometheanTV utilizes the Amazon Route 53 service to manage various domains utilized by the products and services. DNS routing for private/local in VPC. Amazon AWS Domain Name Services. 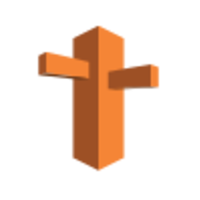 The logical choice for AWS hosted web sites.